Whenever I come across some wood pallet recycling projects I just become enthusiastic. Recycling the wooden pallets into some exciting plans has always been a pleasure for me. So we just keep bringing you guys these pallet projects frequently. 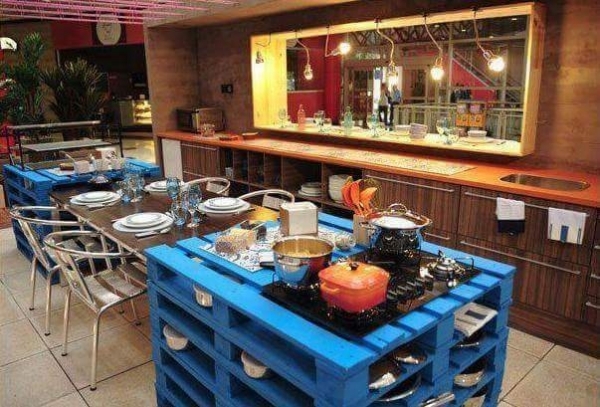 Here again we are presenting you some of the things to do with wood pallet. You just have to collect a bunch of pallets, go through our exciting tutorials and buckle up for these awesome projects. These things we are going to do with the pallets are a real food for your thought, they just need your consideration. 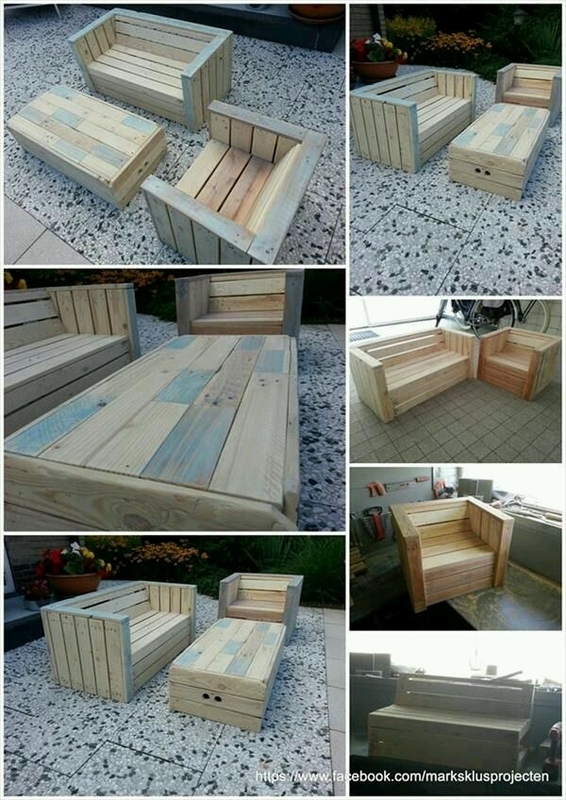 Have a look on this awesome pallet furniture made using the raw pallets. 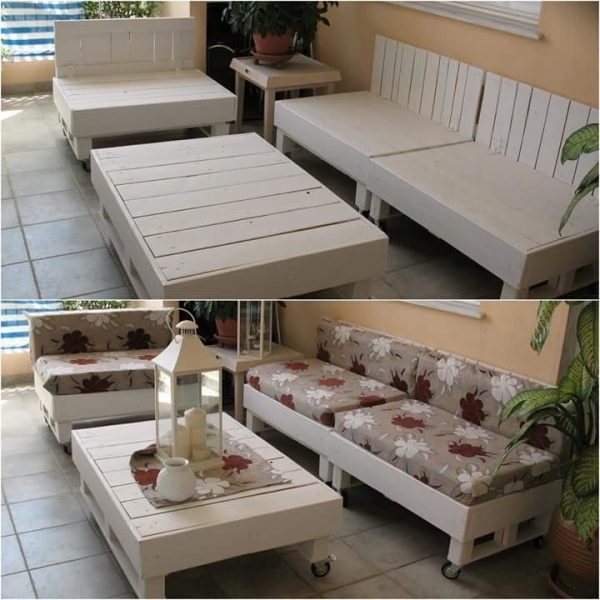 This two piece three seater outdoor couch along with a delicate centre table. This is probably the best pallet creation so far for your outdoor seating arrangement. You must not go for market based substitutes. I would give undoubtedly ten on ten to this marvelous pallet TV stand. All of us need a decent wooden TV stand which is one of the most important electronic devices inside our houses. 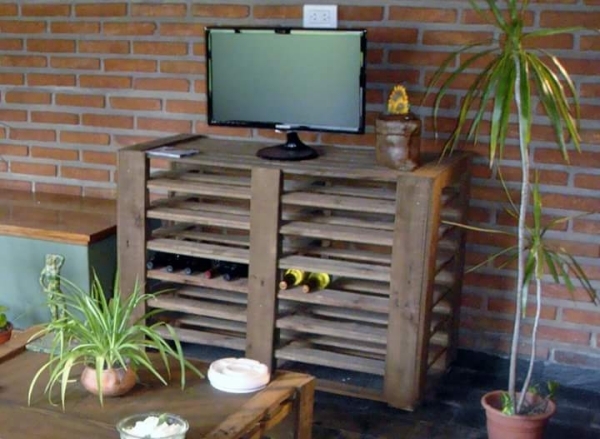 And this pallet wood TV stand would do really great job in ensuring the protection of TV set. I am literally speechless for this classic outdoor sitting corner couch. 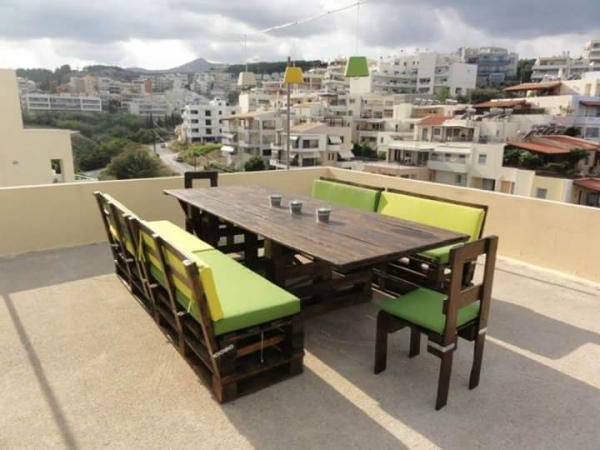 All the furniture set up made using the wooden pallets are a superb addition to your patio or balcony. And the stage is set for you to enjoy some of the finest moments sitting outside. 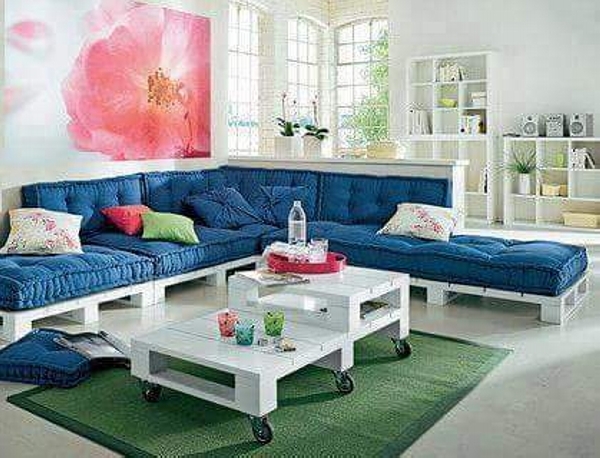 This is again a delicate and eye catching pallet wood couch stained as bright white color. The design is a bit different from the conventional pallet couches that we recycle. A bit of backless seats are added and the classy centre table is also made with the extreme smartness and selection. 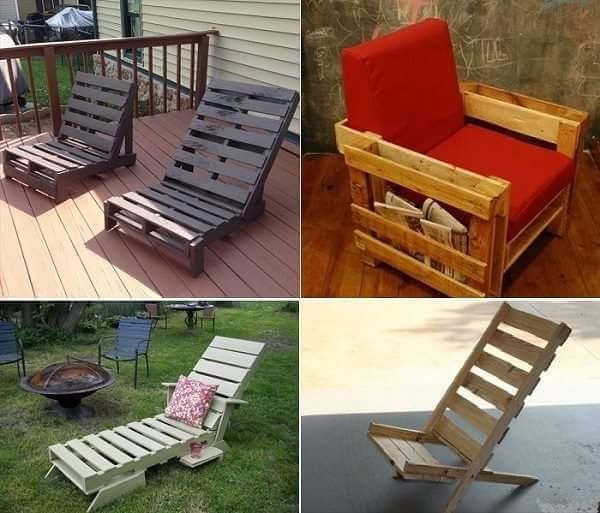 Just have a look on these adorable outdoor sitting easy chairs and a comfortable huge wooden pallet couch. The couch has got plenty of spaces all around for additional storage. While the easy chairs stained in grey color are a feast for your outdoor sitting. Just try out these pallet things for some extra comfort. 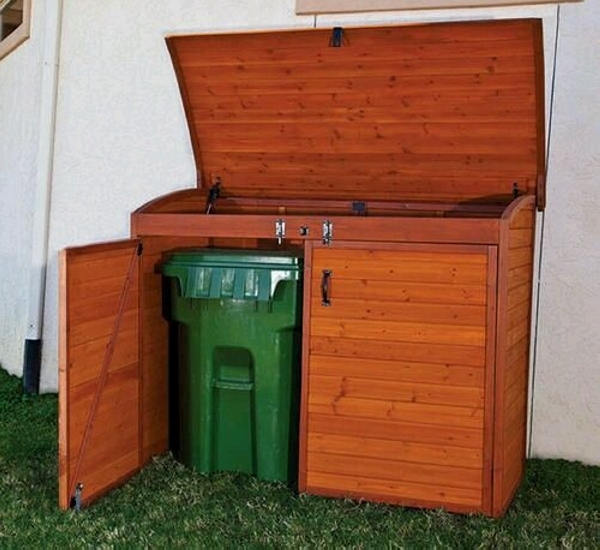 Pallet wood recycling has always been a cost effective activity, the basic timber has always been the cheap pallets that we easily collect from a number of venues sometimes purely free of cost, and sometimes against minor expenses. So doing the things with pallet wood like these restaurant tables has been a source of bliss. When you are well equipped with a pile of pallets and you are well versed with the basic wood work and pallet recycling, then you just move onto such awesome explorations. And these explorations are best demonstrated in this outdoor sitting plan made with same pallets. And the final thing to do with pallets for today is this classic sitting arrangement. Five seater sofa along with the decent bright white coffee table is a real support to your finances. And the built in wheels have always been an attraction in all the pallet creations.